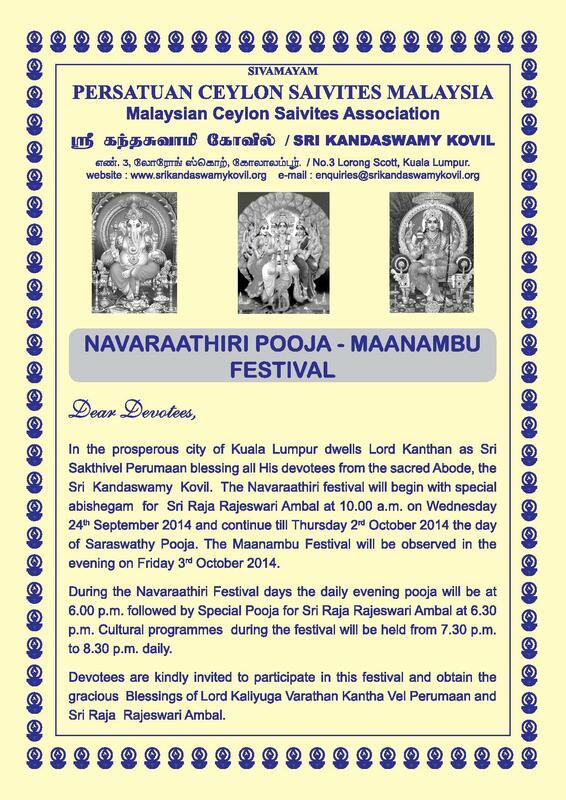 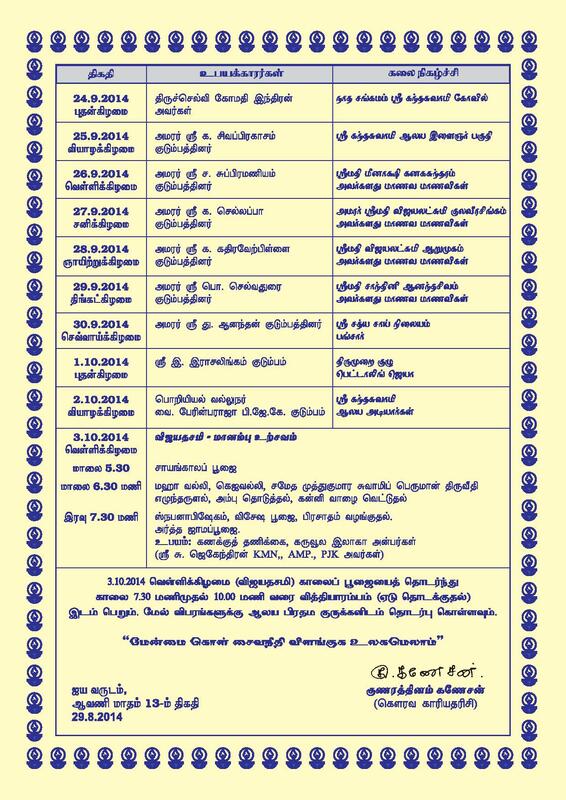 The Naavaarathiri Festival will begin with special abishegam for Sri Raja Rajeswari Ambal at 10.00 am on Wednesday 24th September 2014 and continue till Thursday 2nd October 2014 the day of Saraswathy Pooja. 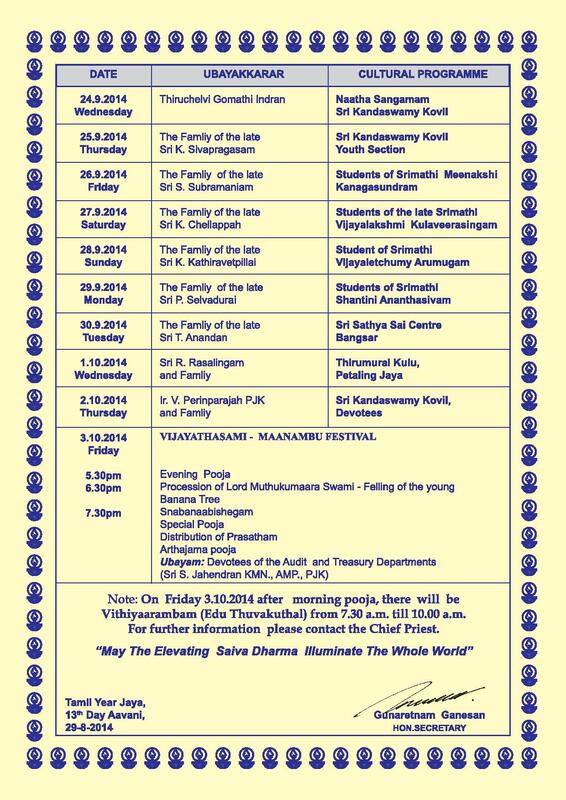 The Maanambu Festival will be observed in the evening on Friday 3rd October 2014. 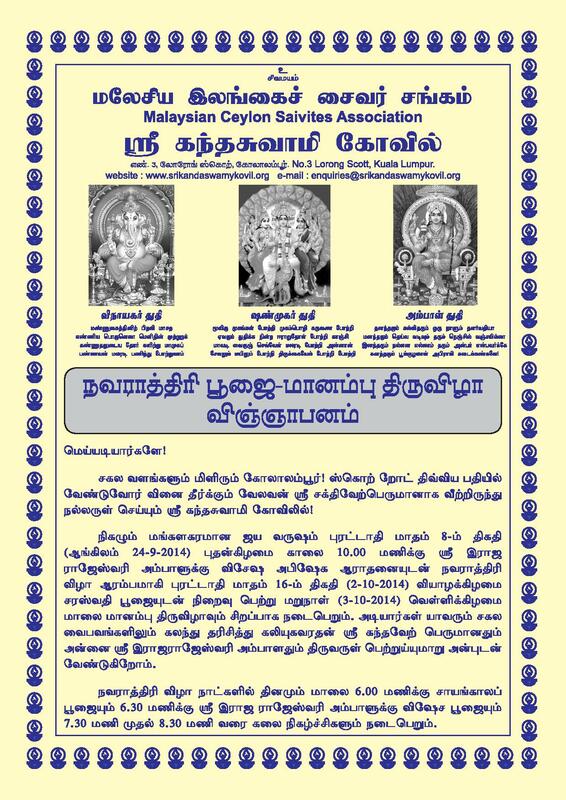 May the Good Lord Valli Theva Seena Sametha Shanmuga Subramaniayar shower His grace on all members, devotees and on all their loved ones.